Adrienne Landry received her BFA from Concordia University. 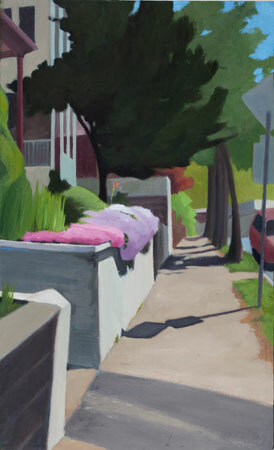 She laso holds a Certificate in Art Education from Massachusetts College of Art. Adrienne currently lives in Arlington, Massachusetts. 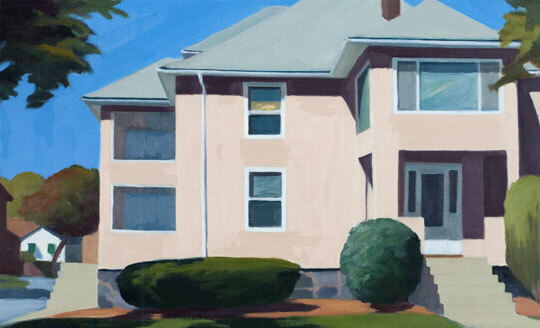 Her paintings of ordinary houses bring a regal, magestic feel to the buildings. 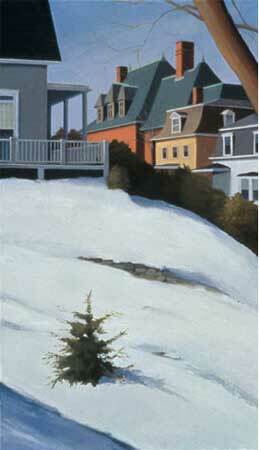 My paintings are representational still lifes, landscapes, and interiors. My interest is in things and places that I know and love and that inspire me.